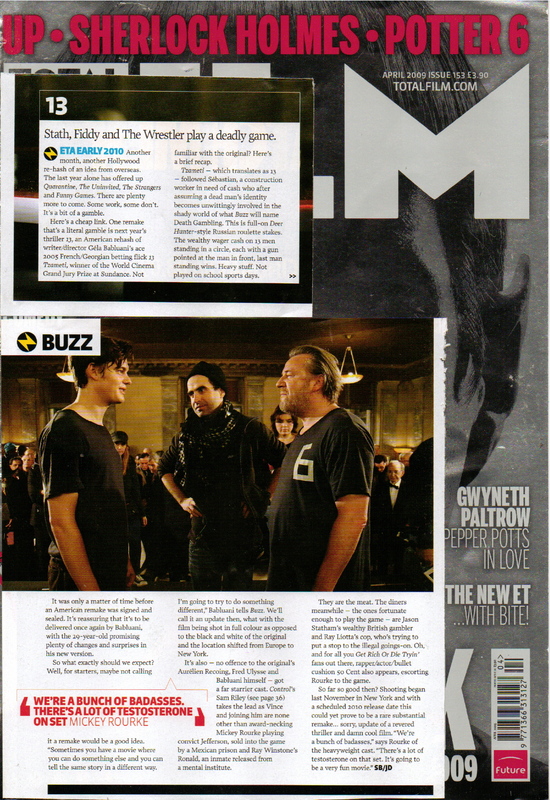 Total Film | I Review Too . . . 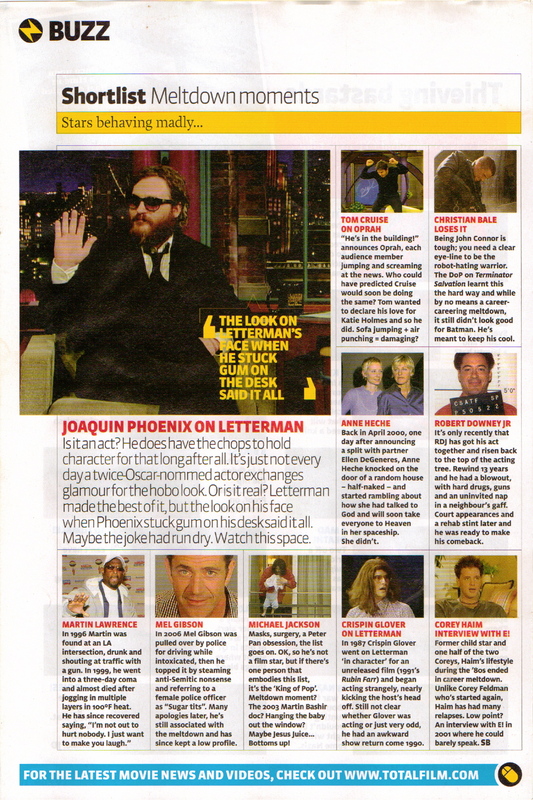 This is the first article I was ever commissioned to write for Total Film. It’s a news piece on a remake of the dark French/Georgian flick 13 starring Jason Statham, Mickey Rourke and 50 Cent. I pitched the idea for a Shortlist feature focusing on celebs who have temporarily lost their minds. 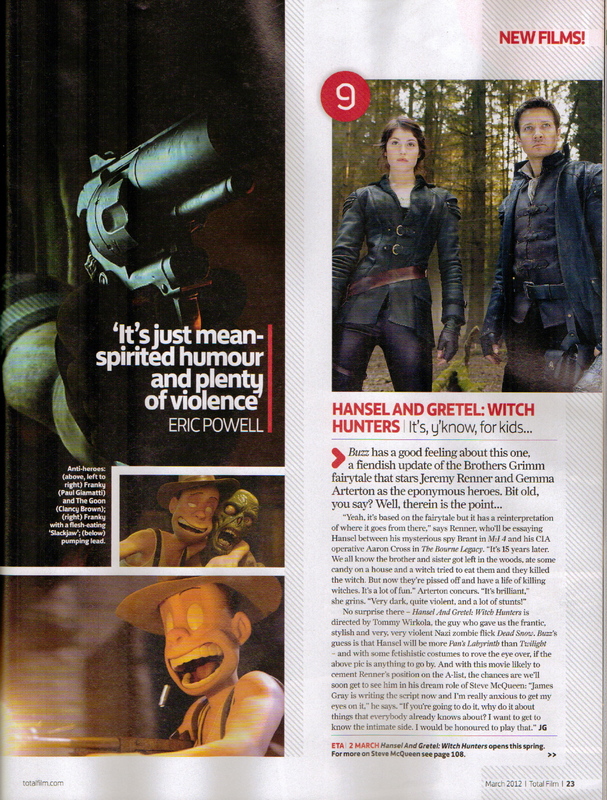 Total Film’s News Editor at the time liked the sound of it and included it in the mag. 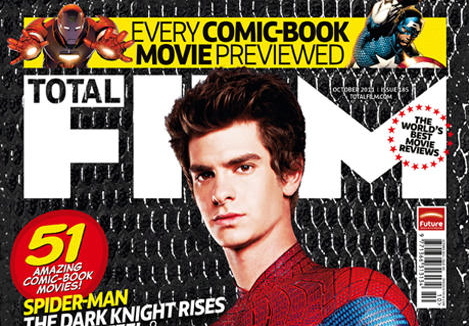 Total Film issue 175 features a few brief pieces of film news copy written by yours truly. Whereas the first is a blink-and-you’ll-miss-it piece about the timeline of the upcoming Hobbit movies . . .
. . . the second is an article about Joseph Gordon-Levitt’s awesome looking new movie Hesher, complete with cool photos and captions. Storming this years Sundance festival but struggling to find a suitable UK release date, this low budget indie flick from director Spencer Susser is definitely one to keep an eye on. Adult Swim stars Tim and Eric have a movie coming out next year and I felt more people should know about it. I pitched the idea of a ‘Who the Hell Are Tim And Eric?’ feature introducing the duo to Total Film’s readers and interviewed the guys while they were in London for their recent UK tour. I always try to keep an eye out for upcoming films that cause a lot of noise online but don’t seem to get much movie mag attention. The David Fincher produced adaptation of Eric Powell’s cult comic The Goon fits the bill perfectly. Blur Studios put together a teaser trailer that’s drenched in cool and captures the tone and dark humour of Powell’s book perfectly. If you haven’t already seen it, do yourself a favor and check it out below. Author Eric Powell couldn’t have been any nicer and during our chat he revealed all about how The Goon spiked the attention of David Fincher and what we can expect from the finished project. As far as I know, a lot of the info spilled during our chat isn’t available anywhere else. 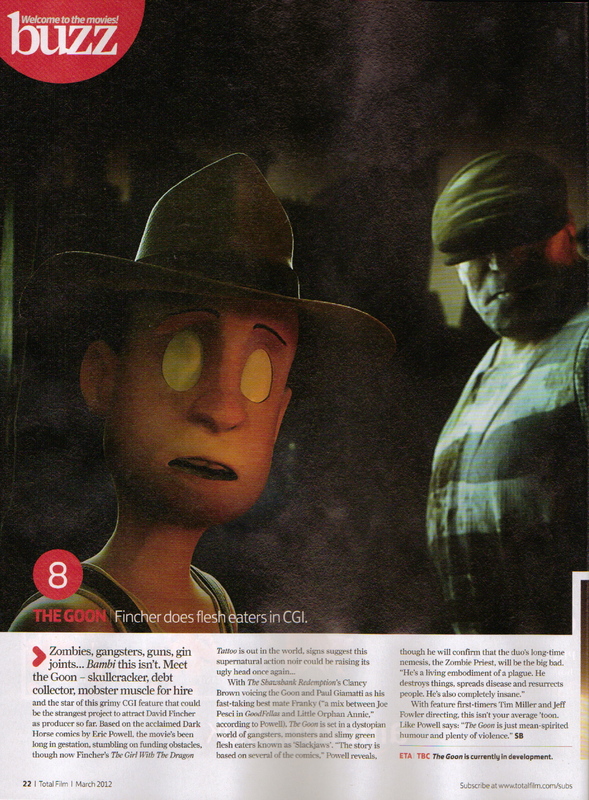 This piece was featured in Total Film issue 190. I wrote this piece about the upcoming comic book-to-big-screen adaptation of author Tim Seeley’s Hack/Slash for Total Film’s Buzz news section. The movie is being tackled by the man behind the recent Texas Chainsaw Massacre reboot Marcus Nispel and follows gruff final girl Cassie Hack and her slash happy partner Vlad as they hunt down and kill famous movie villains.